For beginners like me, it is just so hard – so hard to have even an appointment to any client, how much more to close a deal? Contractors nowadays are so keen in terms of equipment buying. However, I am not losing any amount of hopes that I have within me. The fight should go on! “Rrrrrrrrrrrrr….”, just felt my phone vibrated within my pocket. 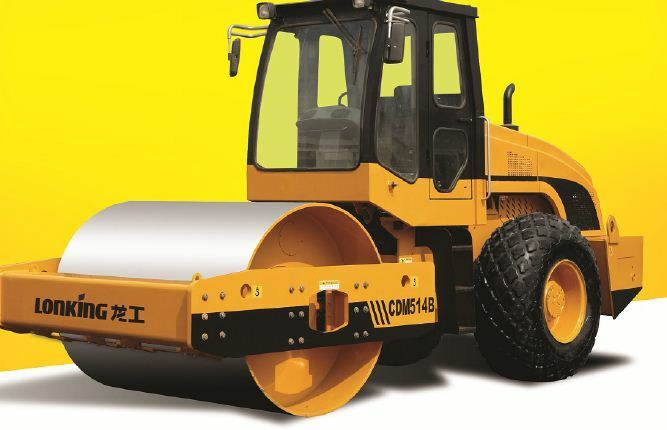 It is a text from my client in Tacurong City asking me if we have any available 14 ton road roller. Without any second thought, I replied immediately. After a minute of sending the reply, she called me. I was on a cab that time going to another client in Davao City. With our conversation, I have told her my offers, the price, the services we offered and a lot more just to make sure that she would really get the unit from us. I know for sure that the client has a great need, can afford and the transaction is righteous. She told me that she will open it up to her husband since the final decision back lies to his. I was just so eager that time to close the said deal. From time to time, I kept on sending offers to Maam Elna(the one who called me). Perhaps she was so bombarded by my offers, she sent to me the number of her husband – the owner of the company and the buyer himself. I succeeded in getting the hold-on-to the person who has the decision. Sir Betalac(the buyer and the husband) and I were talking many stuffs about the units – its specification and all. He asked me to send it brochures including its picture to his email address. I was just so excited about the transaction that I even forgot my other schedule that day just to finish my transaction on this one. “I was expecting that it is the Liugong unit you are selling”. These were his words when called to me the next day. My jaw dropped – it was like I was punched in the face! Liugong is our competitor – one of the greatest competitors. I never thought that he have not realized that I was selling Lonking brand to him (that’s the brand we are carrying). It was just so surprising and heart-dropping situation. I began to ponder and pray for it – that God would give me the strength and victory over the transaction. Despite of that, I kept on calling and texting him about the unit, everyday; always showing the key qualities that our units have. Good thing was Liugong’s unit and ours have the same price! So what I did, I focus on our offer that our competitor cannot afford – the inhouse financing that has ZERO interest rate. I tell you, I really do have the favour of the Lord. After a week of transaction, Mr. Betalac asked me as to where our display centres in Manila so that it can be checked by her sister. I immediately responded. Praise God! The next morning, Mr. Betalac has already sent his down payment for the unit – it was a CLOSED DEAL! Yahooooooooooo! And by the way, before I forgot. The transaction was also being made only through phone calls and email messages. I never have met Mr. Betalac until we delivered his ordered units to his area. Amazing isn’t it? My first two closed deals were done just by phone conversation. Tell me, God is really great, right? Praise God! The first unit I have sold…now, the second time around. It was a hot afternoon back then when I was walking in the streets of Davao City – having a long day searching and visiting up clients for my long awaited first ever sales(for more than 8 months – such a long time, right?) I was just so desperate enough that while walking, I was saying silent prayers. Those dramatic event just simply put a little amount of tears in my eyes though. It was just so fast. I mean, that afternoon when he called me, he asked for the prices, the freight if the unit will be delivered to his area and a lot of stuffs. I was like answering of it with a great smile on my face! 3 days after our talk, he called me once again. He was already in the bank and was about to send the down payment of the unit. Wow! Then my boss and some staffs in the office began to congratulate me, it was indeed so great! The feeling of closing a deal. By the way, Sir Altamira have ordered a 14 ton road roller from me. You might laugh at me but its true. I guess, the price of closing a deal is not all about the money though. I never though that closing a deal would make one of my dreams come true! Take note, I have ridden the plane ALL ALONE. Yep! You read it right. It was just me who rode the plane going to Sir Altamira’s place. Amazing! Well, as part of growing up, all I have been receiving was my allowance, gifts and some “balato” of those who have much. My time did came when I have received a bit bigger out from the transaction. Its all worth it though – from the investment of time, money and prayers. They say that the hardest part of being a salesman is the first sale. Well, I have made it! I know that there are more “closed” deals that I will be having in the near future. Will surely do my best for it – with God’s guidance above all. "The Lord is my shepherd, I lack nothing. He makes me lie down in green pastures, he leads me beside quiet waters, he refreshes my soul. He guides me along the right paths for his name’s sake. Even though I walk through the darkest valley, I will fear no evil, for you are with me; your rod and your staff, they comfort me. You prepare a table before me in the presence of my enemies. You anoint my head with oil; my cup overflows." Surely your goodness and love will follow me all the days of my life, and I will dwell in the house of the Lord forever. Contend – What does it mean? Do you want to have Change?